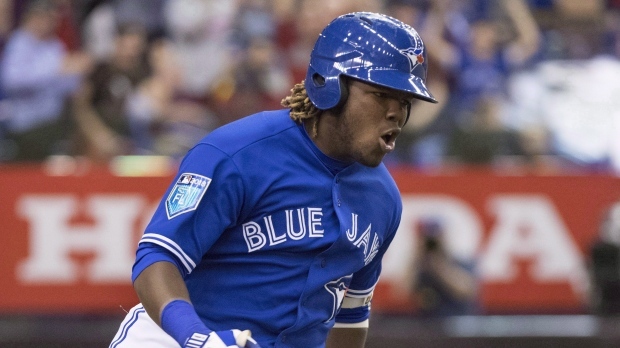 TORONTO -- The Toronto Blue Jays aren't putting a timeline on top prospect Vladimir Guerrero Jr.'s major-league arrival one day after his impressive season debut at triple-A on Thursday night. "There are some other variables to that -- we want to make sure that we get everything we can out of the minor leagues to ensure there never is a day that we're ever considering the minor leagues again. ... So we'll continue to talk about his development and our hope is that the performance continues to be what it's been."